Who doesn't love the holidays? Here in Lake Havasu City we certainly do! 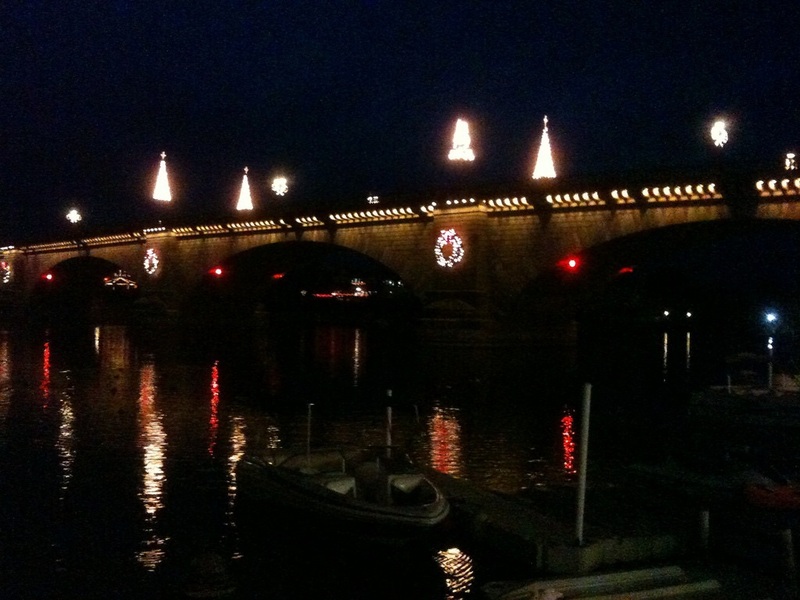 Even for a smaller city, Lake Havasu packs a "full stocking" of holiday events and activities for whole family to enjoy (four-legged family included!). Whether you want to spend the holiday on the ice, on the water or hiking in the desert, we've got just the thing for you! If you're looking for a taste of what life is like when considering a move to Lake Havasu City, consider visiting this holiday season. Now is a great time for buyers to strike a deal when the market slows down a bit for the holidays. Contact The COLLINS TEAM if you're ready to put a new pair of house keys under the Christmas tree and read below about some of the local events--big and small--that are happening this holiday season in 2017-18. WHAT: Tis the season of giving! Get a great shot of you and your furry friends that benefits a great cause. Start your holiday season off right this weekend with a $10 donation to the Western Arizona Humane Society Building Campaign. WHAT: The seasonal holiday tradition that never gets old! Ice skating at London Bridge Resort provides that heart-warming feeling of a "White Christmas" even to us desert dwellers! Ice skates rentals provided with the price of admission. WHAT: The famous yearly tradition in Lake Havasu City that brings onlookers from miles around. Go for a walk or take the boat out and watch as 500,000 lights reflect against the water through the Bridgewater Channel. Even Santa comes to visit every Friday and Saturday in December between 6 and 8pm! As we all know, Lake Havasu City is a great place for Santa to warm up before he takes flight. WHAT: Start the year off right by appreciating the great outdoors at Lake Havasu State Park as part of the nationwide program The First Day Hikes program. This "not difficult" hike is a great family-friendly activity to help burn off some of those holiday calories! Interested to see what else is happening in Lake Havasu City? GoLakeHavasu is a great resource. Happy holidays and we hope to see you for a holiday home search soon!